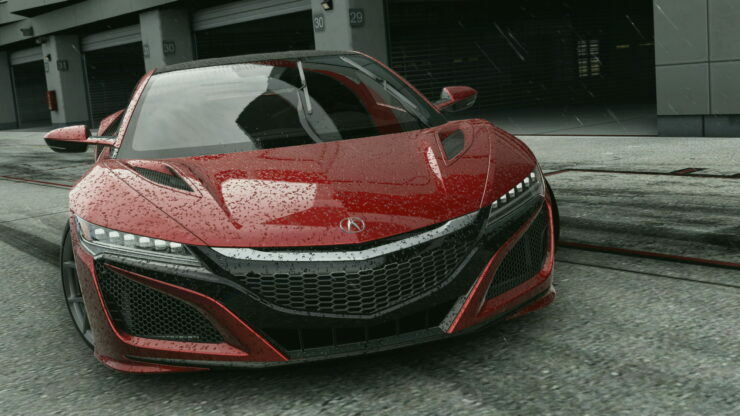 Project CARS 3 is in ‘very early pre-production, according to Slightly Mad Studios CEO Ian Bell, who posted a series of messages on the GTPlanet forums to clarify the game’s direction compared to the previous installment. We’re still at the design on paper stage… This is very early pre-production. I’ll let you know that Project CARS 3 will be more ‘focused’… More ‘fun’… We went to insane lengths with variation in pCARS2 and with that comes infinite balancing issues. We’ve learned a lesson here and although we have no intention of reducing content, we know what we need to fix, where we made design decisions that were, let’s call it, ‘sub-optimal’… Project CARS 3 will be more of a spiritual successor to Shift, but with all of the sim goodness everyone appreciates… The key focus though is on fun and not biting off more than we can properly chew and digest. Absolutely not. It will be even more detailed. That’s why I mentioned that we won’t be losing any ‘sim goodness’… Real cars aren’t hard to drive. We’re not ‘taking away the sandbox’… we’re just adding more of a structured fun game to the mix. He also revealed that Paul ‘Rushy’ Rustchynsky and another seven or so developers from Evolution Studios are now working at Slightly Mad Studios. Rustchynsky was Lead Designer on MotorStorm: Pacific Rift and MotorStorm: Apocalypse, then Game Director on MotorStorm: RC and DRIVECLUB before Evolution Studios got closed down; he later joined Codemasters and took the role of Game Director of ONRUSH. Project CARS 2 launched in September 2017. When reviewing the game, Chris did note that it wasn’t at all accessible to anyone but the most dedicated racing simulation fans. There’s an undeniable quality to Project CARS 2. It’s possibly the most realistic racing sim around, with an almost inordinate amount of detail that’s gone into every car, track and the weather and how everything is interconnected. This makes the lack of accessibility for those who struggle with simulation and who’d prefer an arcade mode all the more annoying. Is it a great game? Likely the best racing sim around. Does it need to open itself up to those less skilled? Yes. Clearly, the folks at Slightly Mad Studios are hoping to lure in more newcomers with Project CARS 3. The challenge will be to make the game more accessible while retaining all of the depth provided by the simulation elements.